As the sun set over Vancouver, the undersurface of the Cambie Bridge was transformed into a wild river filled with migrating salmon. 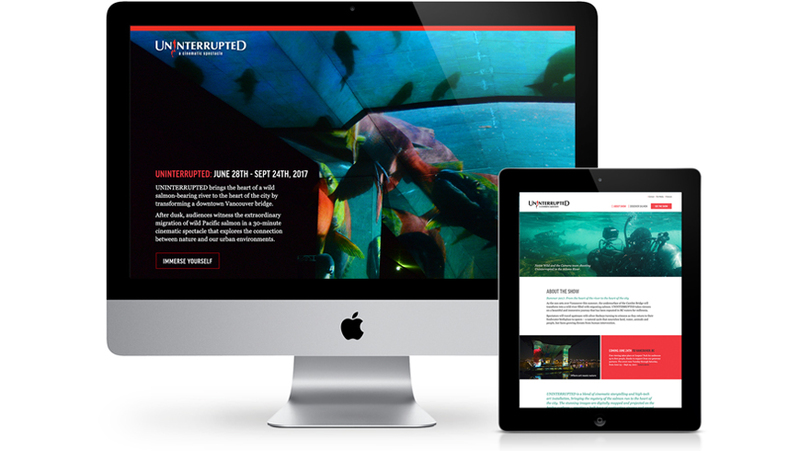 UNINTERRUPTED blends cinematic storytelling and high-tech art installation – and in 2017 it brought the mystery of the salmon run to the heart of Vancouver. The stunning images were digitally mapped and projected on the bridge surfaces – creating a half-hour of captivating cinema and sound that revealed nature’s resilience and vulnerability. The vision for this amazing spectacle was led by director Nettie Wild with a wonderful team of producers and technicians. 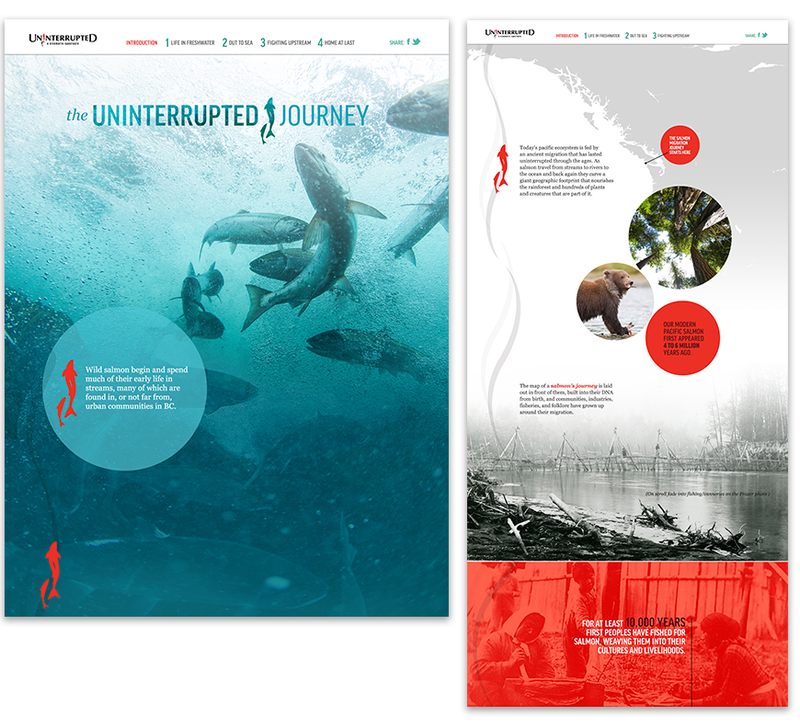 Under the direction of digital producer Rae Hull and Agentic, Mika Creative was brought on to art direct the web site, which told the stories behind the art installation while engaging audiences about the importance of salmon conservation. 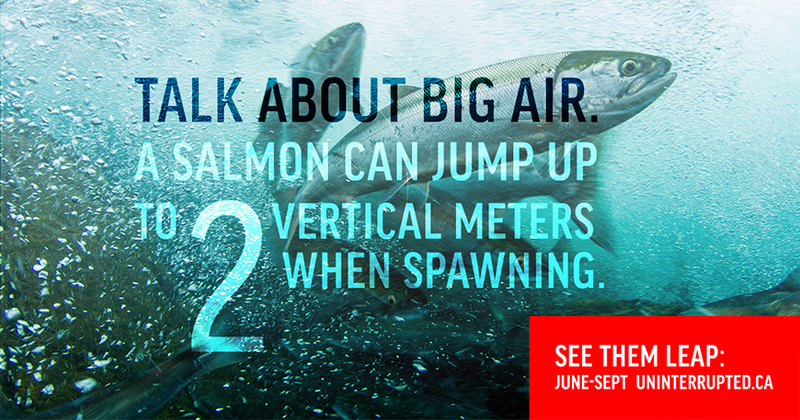 A key aspect of the web site was an interactive Salmon Journey that illustrated the perils salmon now face on their journey to spawn. We also worked on promotional materials like posters, bus shelter ads, billboards and social media images (as seen below). A Tyze personal network is a secure, practical, web-based solution that helps connect people around someone receiving care. 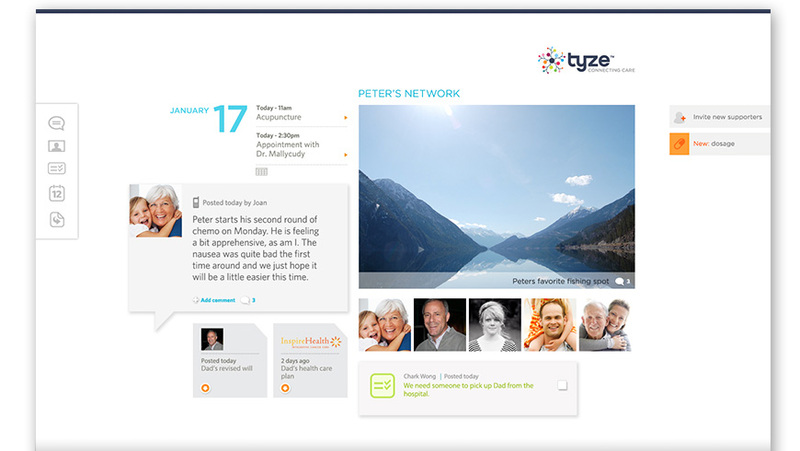 A Tyze personal network is a secure, practical, web-based solution that helps connect people around someone receiving care. Mika Creative was asked to help rework Tyze’s existing interface design for their online tool which was cluttered and not very user friendly. We experimented with different visual layouts, grids, and imagery to make the overall look more appealing and sensitive to caregivers, who are often under stress and busy. 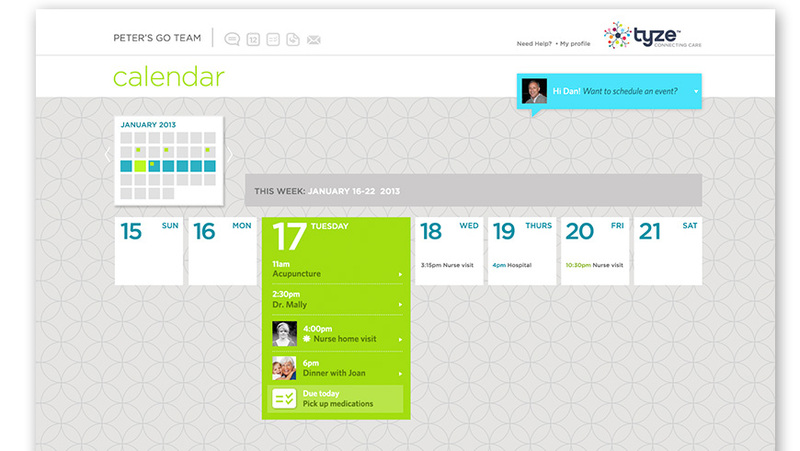 Caregivers are often women and we wanted to create a softer and more feminine look than most online tools. The company and online tool have since been acquired by the Saint Elizabeth home care network who now manages the project. Mika Creative loves design. Branding, interfaces, web, apps, print, spaces, events, packaging and any creative challenge that comes our way. We draw pixels.